Has Godzilla met his match? The impressively detailed monster stands about 19-inches tall! Straight from the classic 1962 film Godzilla vs. King Kong. Straight from his battles in Toho's classic 1962 crossover kaiju film Godzilla vs. King Kong, comes this huge Godzilla vs. King Kong 1962 Version Gigantic Series Vinyl Figure! 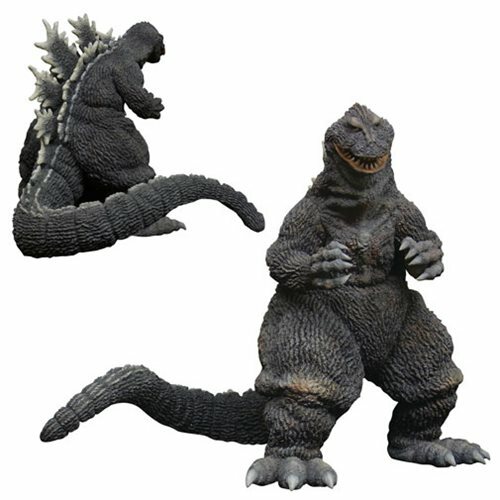 The massive monster stands about 19-inches tall and features a detailed sculpt and paintwork to accurately recreate his appearance in the movie.